The Trieste plant of Teufelberger-Redaelli has commissioned an innovative new wire rope production line. 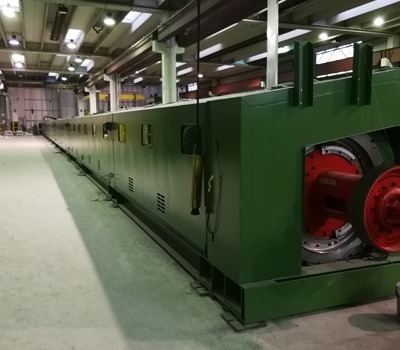 The new 48x630 stranding machine represents another major step in terms of manufacturing integration between the Redaelli and Teufelberger operations. 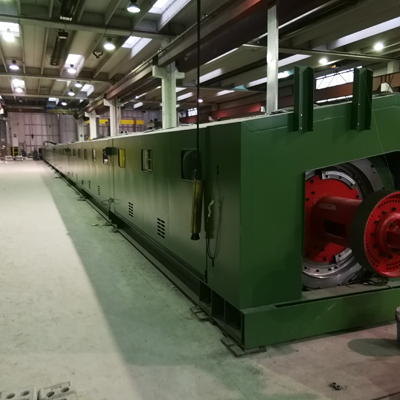 The new production machine is impressive and with an overall length of 118 meters, it is a great fit amongst the other giant stranding machines already installed in this plant. Such a major investment not only significantly enhances the production capacity but also expands opportunities to the Trieste plant to manufacture a wider and more comprehensive range of wire rope constructions focused on the passenger carrying and industrial lifting segments to meet ever more increasing customer demands. 2019 – which is also the 200th anniversary of Redaelli – is also celebrating the continuing integration of the Teufelberger-Redaelli group! We have many on-going joint projects to exchange experience and technologies, which are resulting in improved production volumes, quality and abilities cementing the Group’s position as a top three worldwide leader in the segment of wire rope excellence. We are together in motion!